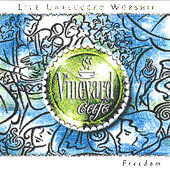 Live Recordings: Vineyard Music EXTRA! Winds of Worship is the most popular live album series, because it captures the raw passion of corporate worship. Many people regard live albums as somehow inferior to studio albums. While this may be true of secular music, it is not the case with Vineyard music: they capture the emotion and passion of corporate worship that cannot be reproduced in a studio setting. Winds of Worship features live, unedited versions of worship sessions. Experience over an hour of worship recorded at Vineyards worship conferences entitled Winds of Worship. Join the thousands who attended the conferences in truly intimate and anointed worship. Each different worship leader adds their own flair and leading style. A feature of many of these albums is that you can hear the response of the congregation, which gives you the feeling of being there. 12 Songs inspired by renewal around the world. 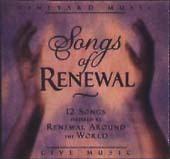 A collection of all new live worship recordings of some of the best renewal songs. The songs on these albums are recorded entirely live, either on location at a Vineyard church, or by using a studio or other venue large enough to house an entire congregation. So the musicians are not singing into a microphone, theyre leading worship. These albums are recorded in front of a live audience, but in a more informal cafe setting. Yet the anointing of worship is unmistakable, and the result is a more intimate, personal recording.